There is a high number of unemployed people all over the world who could earn as much as they want to do online jobs. 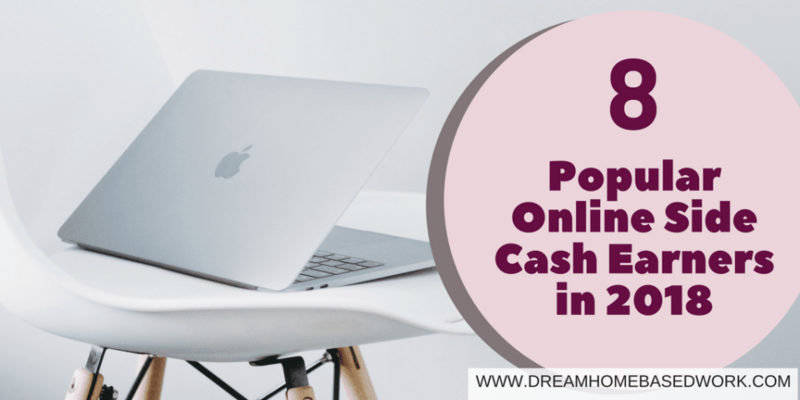 Online jobs not only provide employment but also act as a way to earn a few extra dollars on the side besides your normal pay. Online jobs are limitless. You do not have to be skilled to start earning, well for some you do, but most require no skill at all. 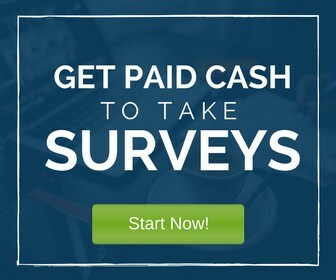 Taking part in paid surveys is a great example that you need no skill at all to get paid. 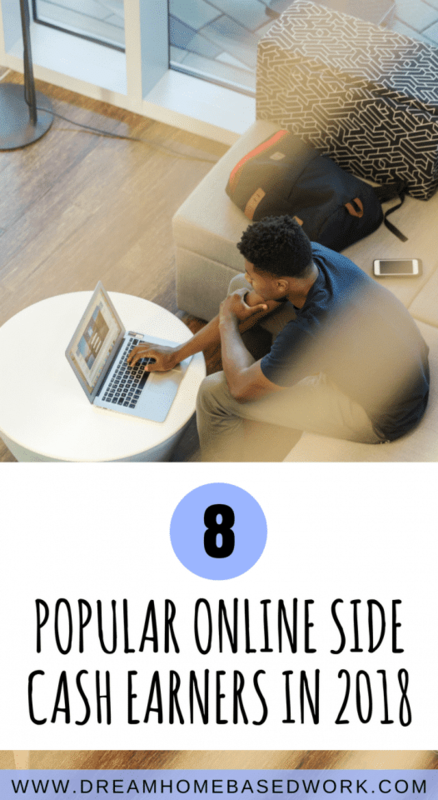 To make your search easier, these 8 side cash earners can add a few bucks to your bank account and give you the lifestyle you want. #1 – Lose Weight and Get Paid! Losing weight is never an easy task. There is a lot of hard work and determination that is required. Most people start their weight loss program only to give up midway. Others keep trying but no change is visible. If so, you need an incentive. Did you know you can get paid to lose weight? Sites such as ‘Diet Bet’ and ‘Higi’ allow people to track their weight as they earn points which translate to some cash. It has never been this easy to lose weight. Winning bets and staying focused on your goal to lose weight will earn you some side cash. You can learn more about this here. There are many bloggers that make their living out of the blogging lifestyle. At first, it may start as a side cash earner and grow into a full-time job. Platforms such as Blogger, Tumblr, and Live journal make it easier to start a blog for free. However, to get good money, host your blog through WordPress and enjoy all the benefits. Have affiliate links, sponsored blog posts and advertisements on your blog and earn some cash. For this one, you have to be good in English and have no spelling or punctuation errors. Your competence and ability to earn cash depend on this. Textbroker, Blogmutt, Writer Access and Constant Content are some of the best writing sites to use. Click here for more than 30 places to find writing jobs. Product reviews determine how well the product will sell. For this reason, companies are willing to pay to have good product reviews written about their products. Some even let you keep the product for free. Review products through Review Stream and other free product review sites here. If many consumers like you review, you are paid handsomely. Surveys are the quickest way to get feedback and there are many paid survey websites. You will need to be careful not to become a scam victim. You can only be safe by accessing legit sites such as MySurvey, CashCrate, Inboxdollars, Swagbucks, Mindspay, Treasure trooper, Survey Spot and Consumer village just to mention a few. I recommend this huge list of 18 companies that pays cash. Freelancing gives you the freedom to be your own boss. You get to choose what job to take and when to work. Fiverr, Upwork, People Per Hour and Freelancer are some of the free sites where you can easily land a freelancing gig. The quality of work dictates how much you earn hence be sure to provide high-quality work. Smartphones have become popular and besides chatting with friends on social media, you can also earn through phone apps. Some of the apps include; Easyshift, Gigwalk, Checkpoints and Field Agent. Some of the apps will require you to complete a certain task or visit a store to start earning money. The information above is just a brief overview. For detailed and more side cash earner information you can visit this site and learn the many legitimate ways to make money on the side. Enjoyed This Article? Read These Too!